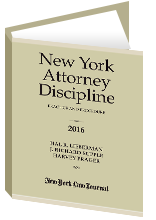 Hal R. Lieberman is the co-author of “New York Attorney Discipline,” and the former Principal Trial Attorney and Chief Counsel for the Departmental Disciplinary Committee in New York’s First Department. 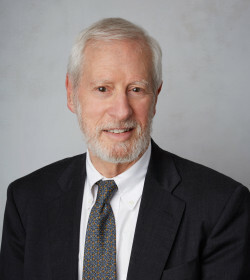 During the past 17 years, he has defended hundreds of lawyers and law firms before disciplinary and grievance committees in connection with lawyer discipline complaints, formal disciplinary prosecutions, reciprocal discipline proceedings, post-conviction disciplinary proceedings, reinstatements, and matters related to bar admissions before the several New York character and fitness committees. Mr. Lieberman is a regular columnist for the New York Law Journal on the subject of Professional Discipline. New York; Massachusetts; U.S. Supreme Court; State of Israel; U.S. Court of Appeals for the First Circuit; U.S. Court of Appeals for the Second Circuit; U.S. District Court for the District of Massachusetts; U.S. District Court for the Eastern District of New York; U.S. District Court for the Northern District of New York; U.S. District Court for the Southern District of New York. Mr. Lieberman is a long time competitive middle distance runner, and participates in numerous national and local track meets as a member of the Central Park Track Club. In 2014, Hal and three other runners broke the world indoor age group record for the men’s 4 x 800 meter relay, when they finished 3 seconds faster than the previously held record by a German team.